Archive - odds and ends, old courses,handouts etc. St Peter and St Paul is the Church of England parish church for Seal, near Sevenoaks. Whoever you are, you'll find a warm welcome at our services and activities. We believe that everyone is loved by God and is part of his family. Whatever your background, age, ability, disability, gender or sexuality, whatever your level of faith or doubt, whatever the story of your life, we'll be glad to see you. Our ancient church is normally open during the day - many people use it - and the peaceful churchyard has beautiful views over the North Downs. It's a great place to be, and a great place to be yourself. 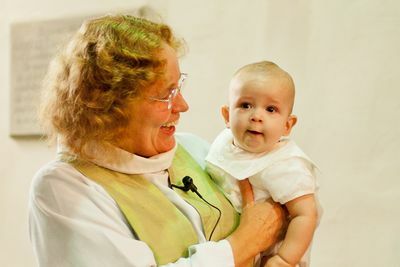 To receive regular updates about activities and services at Seal and around the Diocese, join our email list. PLEASE NOTE: There are a lot of churches dedicated to St Peter and St Paul in Kent (17 in the Diocese of Rochester alone). We are often confused with St Peter and St Paul, Shoreham, Ash or Teston (East Malling). There is also another church near Seal, called Seal, St Lawrence, which is a couple of miles away in the village of Stone Street. Please check that this is actually the church you are looking for, especially if you are coming for a special event or service. Donate to Seal Church via "MyDonate"
Everyone is welcome at everything. Join us on the journey through Holy Week in whatever way you can. Come and join us every Monday from 1.45 in Birch's Cafe in Seal High Street for a chat and coffee. Drop in for coffee and chat. There will be some activities and board games on offer if you would like them, but you can just sit and chat if you prefer. Refreshments and good company. Drop in and join us! WHAT IS TALKING VILLAGE? Seal’s “Talking Village” sessions are places where anyone can come along to chat. No agenda, just a friendly welcome! Stay as for as long or short a time as you like at any session. Watch this space for more times and venues – coming soon! Every Wednesday in term time in the Church hall. Fun songs, relaxed atmosphere, musical skills. Somewhere for your group to meet? Somewhere to hold a dance or exercise class? Somewhere to run a children’s group? Somewhere to host a family gathering? 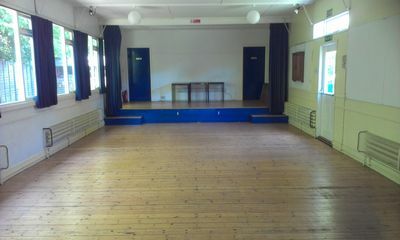 The church hall is available for hire on most days and some evenings. Very reasonable rates. Would you like to contribute to the maintenance of our lovely building as a focus for our community life? If so, find out more about becoming a "Friend of Seal Church" here.